Pastor Stewart was appointed as Senior Pastor in May 2014. 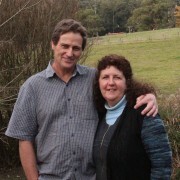 He and his wife Lesley have been involved at Lilydale since before they were married in 1979. During this time their involvement has included children’s ministry, music, craft groups, youth ministry and various others aspects of Church life. 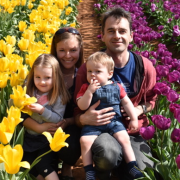 After many years of considering a call to pastoral ministry Stewart commenced a Bachelor of Ministry which he completed while working as a Primary school Chaplain for almost seven years. Prior to this Stewart and Lesley ran their own horticultural business for 20 years growing flowers and bulbs. They have six children, three married and they currently have 9 grandchildren. Pastor Stewart is committed to teaching from God’s word to encourage and strengthen hope and faith in Jesus as Lord. After growing up in country Victoria, I came to Melbourne thinking I was starting my life career as a physiotherapist. However, God had other ideas and called me to theological study, and along with this to move into families’ ministry. I have loved being involved in ministry to children and families for over 10 years, serving at Camberwell Baptist Church for the past 5 years. I believe kids and families are a valuable part of God’s family, and I love seeing kids explore and engage with who God is, and grow in their love for Jesus. I am married to Vaughan, who is a secondary teacher. He loves a bit of fun and silliness through his alter ego Felix the puppet! We are blessed with two children, Chloe (three and a half), and Rory (one year old). We love spending time outdoors enjoying God’s creative handiwork, and drinking good coffee.